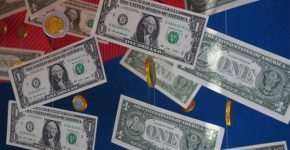 Are you interested in Google AdSense? This article will provide you with detailed description of this service. You must have seen “Google Ad” advertising blocks on websites. It’s not hard to guess that their aim is to bring profits. Google is one of the best search engines! It has created a number of great services profitable both for their developer and multiple webmasters. One of such services is Google Adwords, where, as you must have understood, advertisers make their orders. Adwords provides these ads to Google AdSense and website owners place these ads on their resources. As a result, everybody is contented: the advertiser receives desirable traffic and thus, increases his sales; Google gains more popularity and makes money with it; webmasters earn money with placing ads on their websites. Let’s key into Google AdSense and the opportunities for making money with your own website. Google is not only a leading global search engine, but also the best system of contextual advertising: any web-resource owner can make money with contextual advertising system named Google AdSense. Thus, if your website can boast of high traffic, don’t miss your opportunity to make money with this Google tool. Google AdSense is the contextual advertising system developed for owners of popular Internet-resources who can make money with placing advertising on their websites. This service is preferred by most webmasters primarily aiming at making money online. Consider: the ad placed on your site can be chosen so that it would look not like a mere commercial, but like an attractive supplement or secondary menu. In this regard, a lot of users pay attention to it and follow the link, effortlessly finding what they need and filling the webmaster’s virtual wallet with ready rhino. 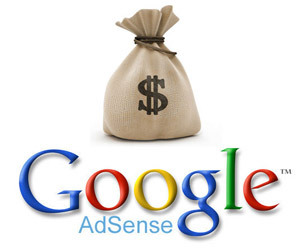 Every click on an ad will bring its owner decent money from Google AdSense. This system is closely related to Google AdWords – a system of contextual advertising for advertisers paying for clicks on their ads. What are the types of Google AdSense ads? Working with Google AdSense is quite easy. Advertisers create ad blocks in Google AdWords and pay for clicks on them, while website owners create advertising blocks in Google AdSense with the display of advertisers’ offers and receive profits from visitors’ clicks on their virtual ads. The Google AdSense contextual advertising system is most trustworthy among its analogues; it pays good money for quality clicks on advertising, the payment being carried out smoothly by means of Google cheques. AdSense from Google offers a wide range of settings that can help any member of the contextual advertising system to customize their ads according to their web resources. This system is easy to use and brings good profits provided you are honest, follow Google AdSense rules, and don’t apply prohibited methods. Read also: How Much Money Can I Make on YouTube? 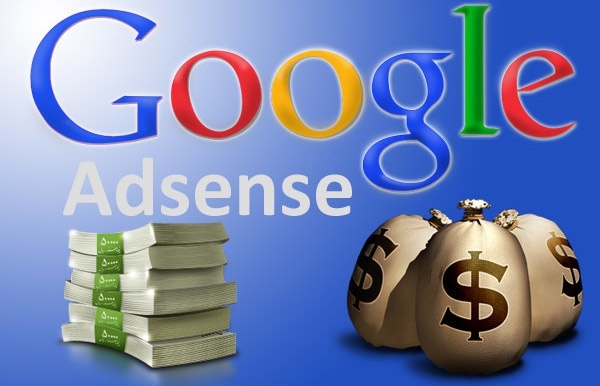 Google AdSense is free and easy-to-use system that offers website owners (both those of minor and major resources) a wonderful opportunity for making money by placing relevant Google ads. Customize positions and design of your ad blocks so that they could perfectly match your website pages. Use automatic targeting to show announcements interesting for your website visitors. Use the wide range of announcements formats and sizes as well as blocking of undesirable categories of ads and certain advertisers. Personal recommendations for the development of your business. Consulting centre and other learning materials available online will help you to effectively manage your account. You won’t have to contact advertisers directly: AdSense platform provides access to the automated market with a great demand for ad locations. Thanks to the high competition among advertisers, the system chooses ads most suitable for your web-pages. Convenient personalized reports allow following the effectiveness of the account and finding the ways to increase it. Support of specialized announcements for their display in videos and games. Advertising formats suitable both for computers and mobile devices. Convenient integration with DoubleClick for Publishers and Google Analytics systems. How to register on Google AdSense? Initially, Google AdSense registration pages are in English, subject to further translation into other languages. Almost all modern browsers have a built-in function of automatic translation. From time to time Google AdSense changes the appearance of its windows, the order of placeholder fields and that of the output of requirements that appear on the screen in the registration process of a new visitor or a website. At that, we observe principal changes only in the appearance of the web-page and the order of its elements, while the sense of the registration doesn’t change. They say that all newly created websites and accounts for working with money undergo some filtering observation of the system. At least until the system clearly “sees” the purpose of creation of these sites and accounts. The main prerequisite for registering a new user with Google AdSense is singularity and authenticity of the information provided by him. 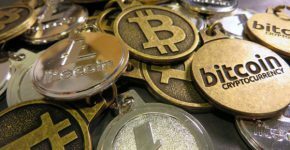 It means that one user can register only one account with Google AdSense software and provide only verified data; otherwise, he simply won’t be able to receive his earned money. A regular web-master is a private person. His type of account is private (individual). Business accounts are for juridical persons and companies. Initially, the account of Google AdSense advertising software is obligatory registered. Website (websites) can be added right after registration. One Google AdSense user can have only one account. One account can have an unlimited number of websites-platforms. Why can someone be denied joining Google AdSense? The only reason for this is the discrepancy between the website content and the current legislation as well as the social moral norms accepted in USA. those causing appearance of pop-up windows and so on. and many-many other limitations including spam and inadequate content. What impacts Google AdSense profits? First of all, to make at least some profit with AdSense, you must find people that will click on your announcements. To have this, you’ll need readers of your website! Whether you write something for business site or your personal blog, the rule is always the same – share! Sites with very active traffic can have up to a million visitors a day, while your blog will be considered more than successful if it is visited by a hundred readers a day. Every thousand of visits can bring you from $ 0.05 to $ 5. Yes, the difference is big and the monthly income totals from $ 150 to $ 150.00! The sum from this range depends exclusively on you – on the number of visits of your site or blog and the amount of effort you make for attracting new users. This is a percentage-based ratio between the total number of visitors to the factual number of those who clicked on the announcement. If 100 people visited the site and only one of them clicked on the ad, your coefficient would constitute 1 %, and this is an absurd figure. You’ll see how the increasing number of visitors of your website will significantly change the picture. Income from 1000 views. This is a preliminary evaluation of your income in case your page is visited 1000 times. If you receive $ 1 for 100 views, your income from 1000 views will constitute $ 10. There is no guarantee that you will reach this sum, but this is a good way to check the potential of your site. Every time someone visits your ad and clicks on your page, you get paid for it. You can’t click on your advertising yourself – Google will notice it and ban your website in the wink of an eye. Advertisers set the price for their announcements and it can vary significantly. The advertiser can spend a lot on this method, but the ad might still be ineffective or unattractive. Ads that cost $ 0.3 per click can get 100 clicks, but it will not play a significant role. Content – the most important element of the site. The quality of the website content is an important factor for understanding the potential of the profit. If your website offers attractive and useful material, you will have a lot of interested readers. It will be easier for Google knowbots to identify the type of advertising that will be the best option for your site. Begin to create your pages abounding with key words. Generously saturate your texts with beneficial key words and you will get high-class links to your site. If your site contains articles about debts consolidation, web hosting, or cancer caused by asbestos, one click on this topics will be more profitable than if you wrote about presenting puppies. If you focus only on top key words, you will see very tough competition. You must find frequently asked words without proper feedback; before creating your page, be sure to examine key words in detail. Thus, we have figured out what Google AdSense is. This is one of the ways to make money online. If your site or blog has a lot of visitors, you can start getting good profits. Register and start making your money! Pokémon Go: why is it useful to play with Pokémons? 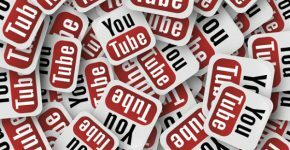 How to Increase Views on YouTube? How to Make Money on Pinterest? How to Create a Blog and Earn Money? How Free Apps Make Money?